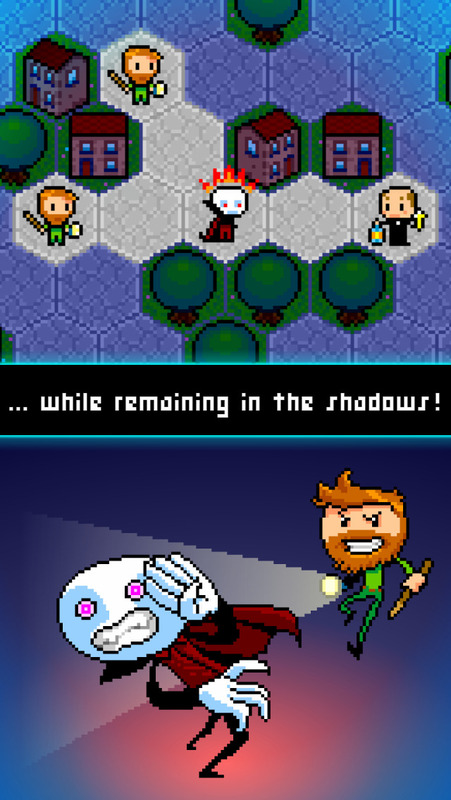 Lamp and Vamp ($1.99) is definitely the underdog release of the week, but one that’s more than worth your time checking out if you’re into highly-strategic games. 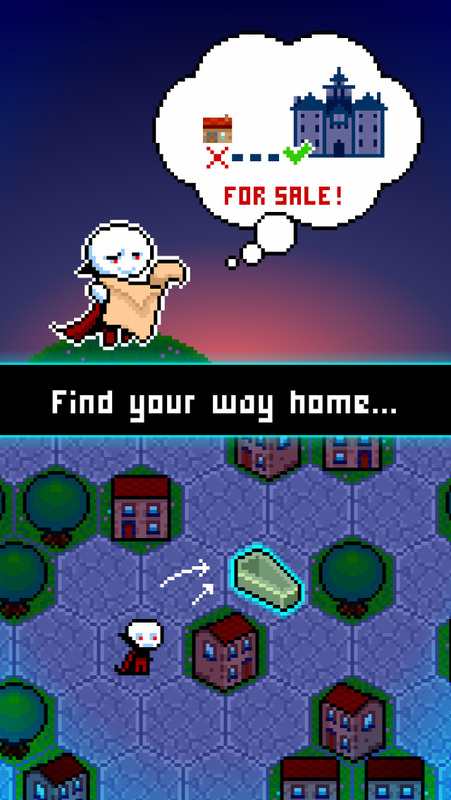 At first glance it might just look like a Vampire-themed version of Hoplite ($2.99), one of our all-time favorite games, and to be honest the two titles do have a lot in common. However, the more time you spend with Lamp and Vamp, the more you realize it’s very much its own thing while still holding onto many of the core concepts that made Hoplite so great. The premise in Lamp and Vamp is that you’re a vampire who has just purchased a new castle to call home. To get to the castle you’ll need to make quite the trek through various villages, with each level being one section of a village. Much like Hoplite the levels are laid out on a hex grid and the action is turn-based, meaning you’ll make a move and then every enemy will make their move next. Also like Hoplite, this game is very strategic and quite difficult. You’ll need to really plan your moves out carefully and take advantage of your abilities in order to not be seen by the many angry villagers roaming about, who I should add are all very anti-vampire. Your abilities consist of turning into a bat, which allows you to cross over a hex with an impediment on it, and a mist form which allows you to both move through objects and enemies. Both abilities require using your health to enable, and Lamp and Vamp is very well-balanced so that you can’t simply abuse your powers and brute force your way through the game. One of the very cool aspects to Lamp and Vamp and a big differentiator to Hoplite is the game’s use of stealth. Anywhere that’s out of the line of vision of an enemy is considered shadows that you can hide in, and if you plan accordingly you can even attack enemies who are right next to you and regain some health, providing they haven’t spotted you already. Overall, the various elements in Lamp and Vamp come together beautifully, making for a very balanced, thoughtful and strategic roguelike game. If you enjoyed Hoplite chances are pretty good that you’ll enjoy this, as the two games are quite similar. At the same time, the two games differ enough that they can both happily live together and complement each other. As I said before this was another killer week for big-time releases, but if you’re a fan of this type of game then you won’t want to let Lamp and Vamp slip by.